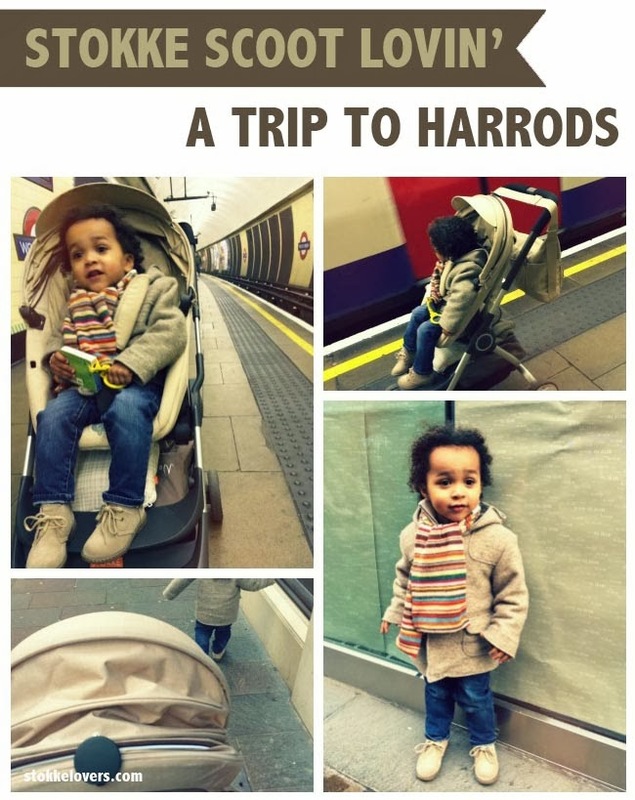 This weekend with our Stokke Scoot (in beige melange) we headed to Harrods to meet another Scoot Lover and her beautiful baby girl (black melange with sheepskin liner in case you're wondering). 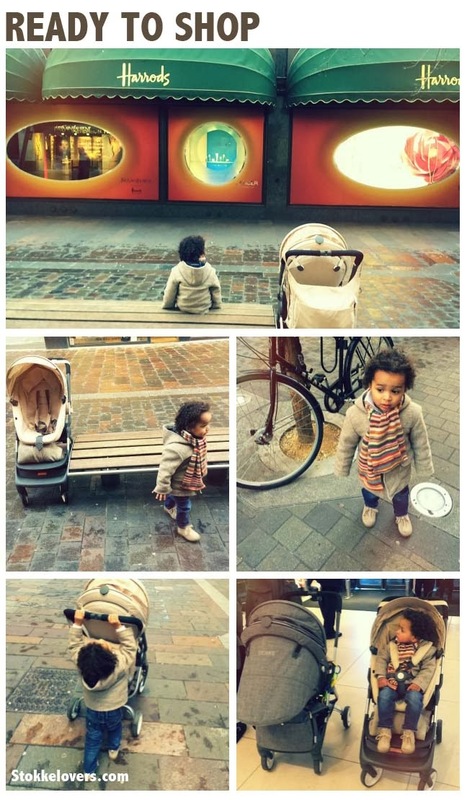 The two mini Scoot Lovers had a ball.... Meanwhile, Ellis stood around looking cool. 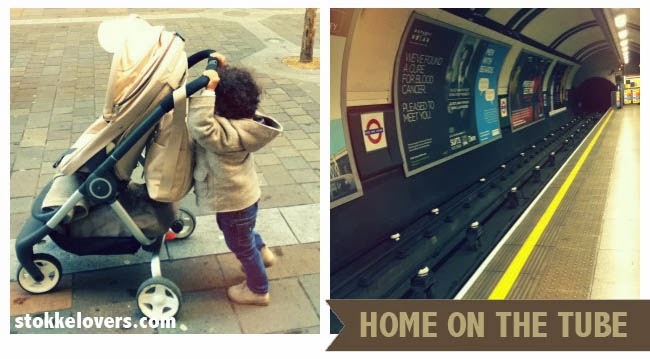 Travelling on the tube with the Scoot is a breeze. It is easy to get on and off escalators (mind you, I have no problem doing that with my Xplory) and takes up little space on the tube itself, even in fully reclined mode as we inevitably found ourselves on the way home after a busy afternoon. All in all, my love for the Scoot continues to grow and now we have the choice of two 'outfits' (original black melange and now beige melange) what's there not to like?